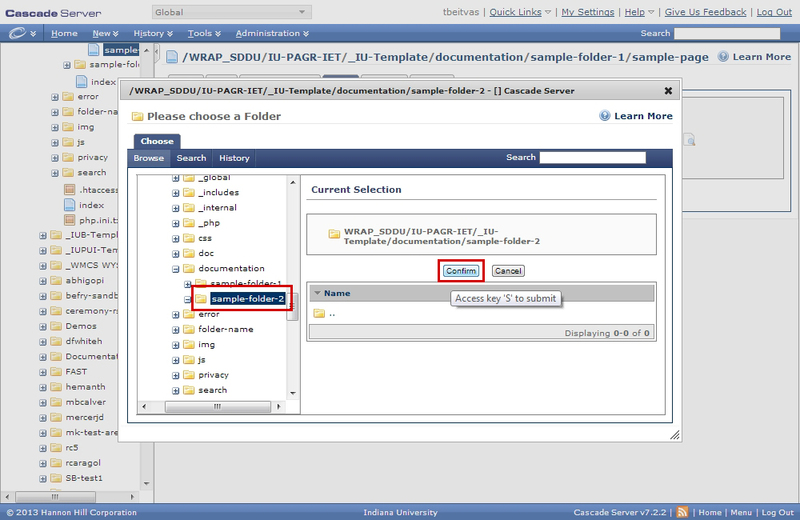 Step 1: Navigate to the file or folder in the left navigation pane, and click the down arrow next to it. Then, select Copy. 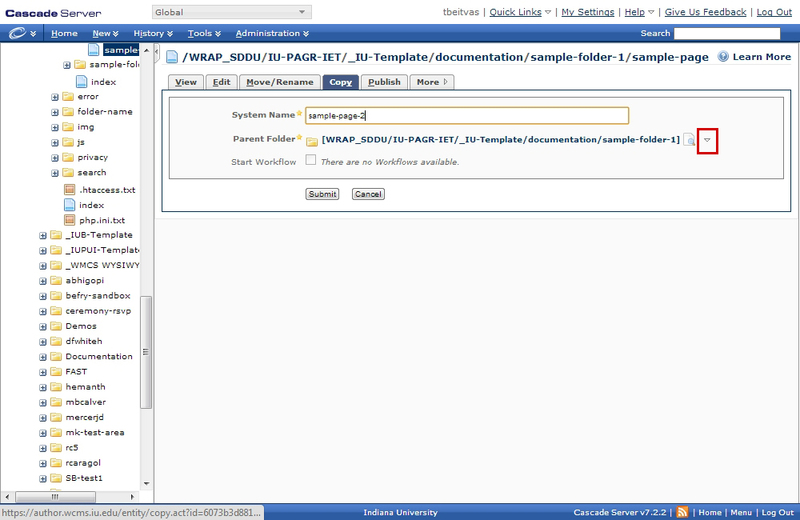 Step 2: Enter a System Name. This is the file name as it will appear in the WCMS. Use only numbers and lowercase letters, separated by a dash. 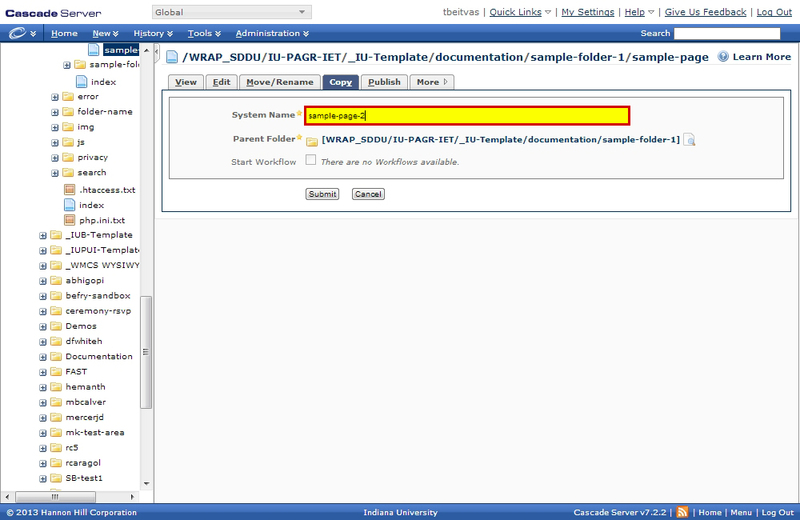 Step 3: To select a location to copy to, click the Browse icon. 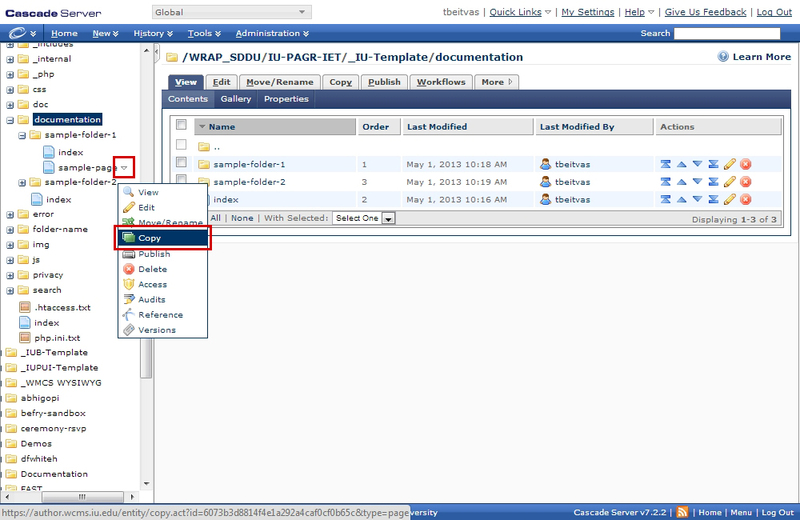 Step 4: Navigate to and select a folder/location in the left navigation pane. Then, click Confirm. 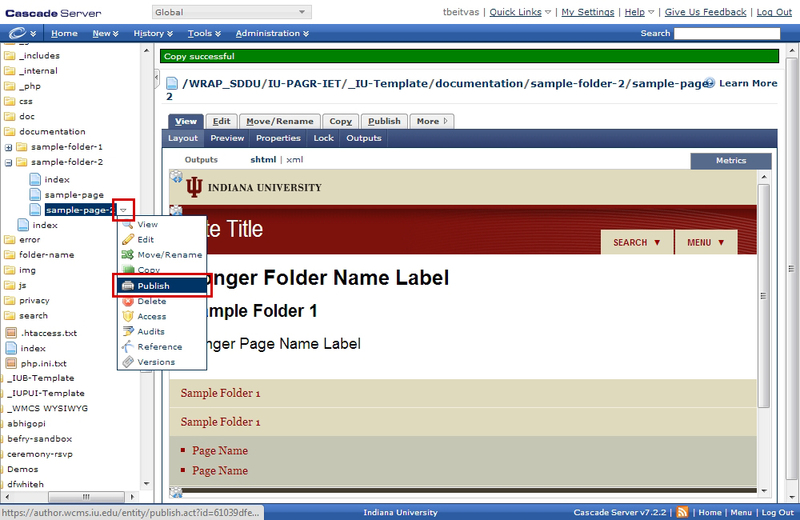 Step 6: Remember to publish all uploaded files. 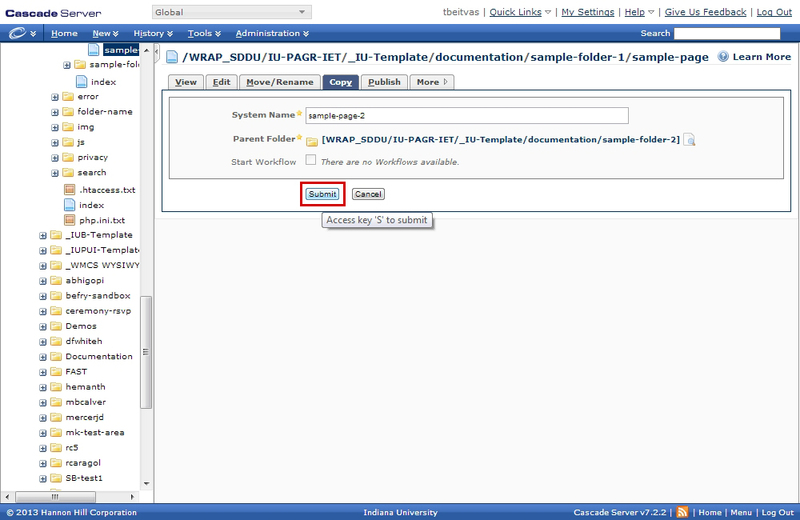 Click the down arrow next to the file, then select Publish. Step 7: Click the Submit.